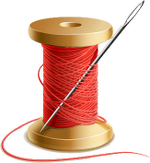 South Africa's leading thread supplier. We are committed to world-class quality and service. SABS approved and ISO9001 certified. Over 60 years' expertise in the thread industry. Contact us for a tailor-made product and service package. Leading sewing thread supplier in South Africa. Committed to the production of world class quality sewing thread. ACA Threads is a Cape Town-based sewing thread manufacturer and supplier with over 60 years’ experience in the South African sewing thread industry. We supply a wide range of Apparel Thread, Non-apparel / Speciality Thread (industrial sewing thread) and Embroidery Thread. Our customers range from large international enterprises, local manufacturing companies, to small start-up businesses. Being a leading sewing thread supplier in South Africa with a rich history, we align ourselves with industry-leading global partners, and continually invest in technology, logistics and people, to stay up to date with the latest international trends in the sewing industry. This ensures that our sewing and embroidery threads not only meet world-class quality standards, but answer to the most demanding and diverse requirements – whether they are utilised in the apparel or in the non-apparel industry. Our range of locally produced, SABS-approved sewing thread, including Seralon, Polycore, Serafil, Acafil and Nylafil is manufactured in our factory located in Brackenfell, Cape Town. Our embroidery thread as well as some of the products in our non-apparel, speciality / industrial sewing thread and embroidery thread range are exclusively imported from our partners throughout the world. Being in partnership with some of the world’s largest and most advanced sewing- and embroidery thread manufacturers, ACA Threads is at the forefront of cutting edge technology and development, and can offer our customers the best technical expertise. As an industry-leading sewing thread supplier we pride ourselves on our consistent quality, specialised technical support, flexible production and personalised service. This enables our customers to maximise their productivity and increase profit. In addition to our sewing thread business we also offer a commission dyeing service and supply a focused range of sales yarn. If you are looking for a reliable sewing thread supplier in South Africa kindly contact us for a tailor-made product and service package. We have product-trained specialists to assist you in every step of the way, ensuring all your requirements are met.